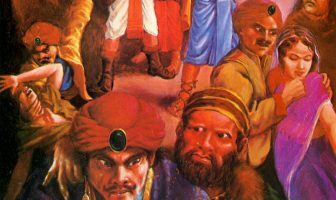 Sometimes, I think that when Srila Prabhupada presented Krsna consciousness to the world, he went about it a little bit different than the institution that he came from; in the sense that the Gaudiya Math is very Caitanya-centred. 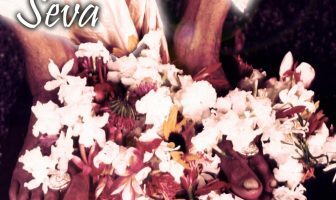 Like the Gaudiya Math in India, Mayapur where that is the big focus – always, everywhere. Even in Vrndavan, wherever you go, you will see Mahaprabhu. Few years ago, I did a tour of Bangladesh as part of my field research and went to all the places related to Caitanya Mahaprabhu in Bangladesh. 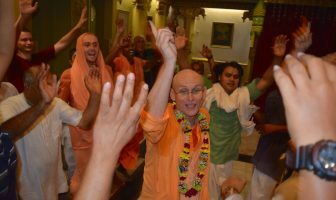 There are already 15,000 initiated Iskcon devotees and also the Gaudiya Math. So, there are many devotees and the entire PancaTattva was so present. Even at the birth place of Jagannath Misra, a Muslim government was maintaining a huge double project and they were also deities of Panca Tattva and so on. It was a lot cleaner than many places in India as they had always been maintained so well. So anyway, in Bengal they have this mood of Lord Caitanya but when Prabhupada came preaching to the West, he put Krsna in front. 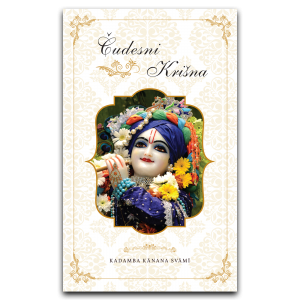 He spoke about Krsna because after all Krsna is the God of hundreds and millions of Hindus, who accept Krsna in someway or another. 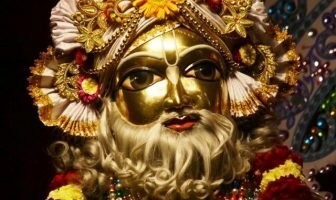 He is like the non-controversial Personality of Godhead. 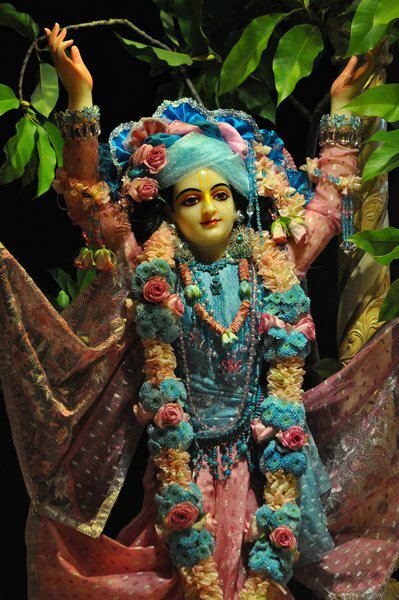 Whereas, when we speak about Lord Caitanya, the most I have never heard of him and those who have heard of him, think of him as some sort of mystic, a great devotee, extraordinary by all means – but then there is a much smaller percentage that will accept him as God. Of course, history has it recorded; historians have recorded that even during his lifetime, Sri Caitanya Mahaprabhu was being worshiped as the Supreme Personality of Godhead. In Orissa for example, we find references that there were temples of Lord Caitanya where His deity form was worshiped. His divinity had spread and was being accepted. So Prabhupada first established Krsna as the Supreme Lord and of course, Lord Caitanya came with it. 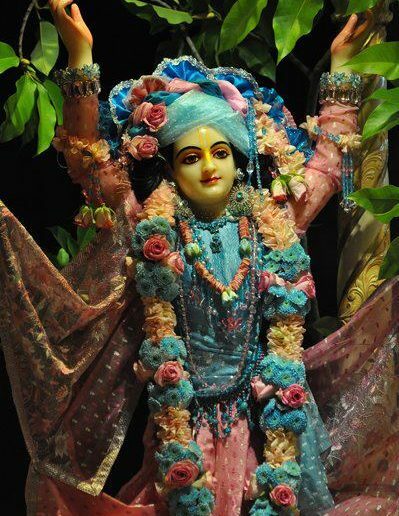 In a sense, it is our duty and our true position in this age, as Lord Caitanya is the yuga-avatar. So yuga-avatar basically means that the whole process of self realization is pre-dominated by Caitanya Mahaprabhu. Which means that basically everything we do is connected to Sri Caitanya Mahaprabhu. 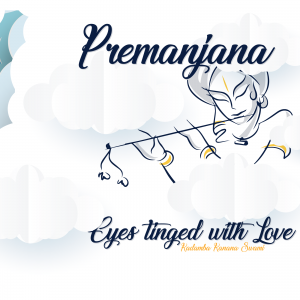 So therefore, sooner or later, as our movement is growing in authority and popularity, sooner or later, we will more and more start to make the point about Lord Caitanya. Therefore that temple in Mayapur was so important in Prabhupada’s mind and that is why it is being built now to draw the attention of the whole world to Lord Caitanya!